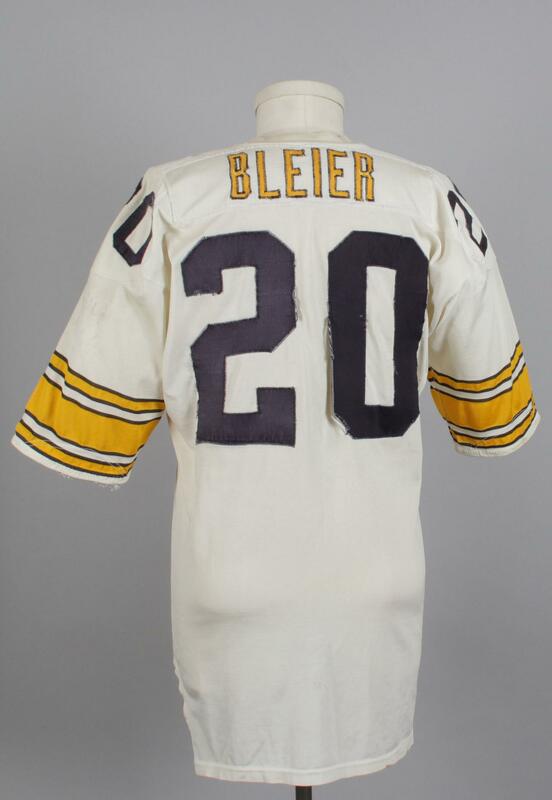 It is not often that Steeler’s Game Worn Jersey’s come up on the auction block. It is always difficult to get authentic gamers. When they come directly from the player themselves, it is a bonus. But this particular jersey holds many endearments. BidAMI.com is now offering Rocky’s Jersey in their Super Bowl Auction that Ends February 6th, 2014. Call for more details 888-308-9714. Selling your collection? Speak to an Acquistions Specialist. 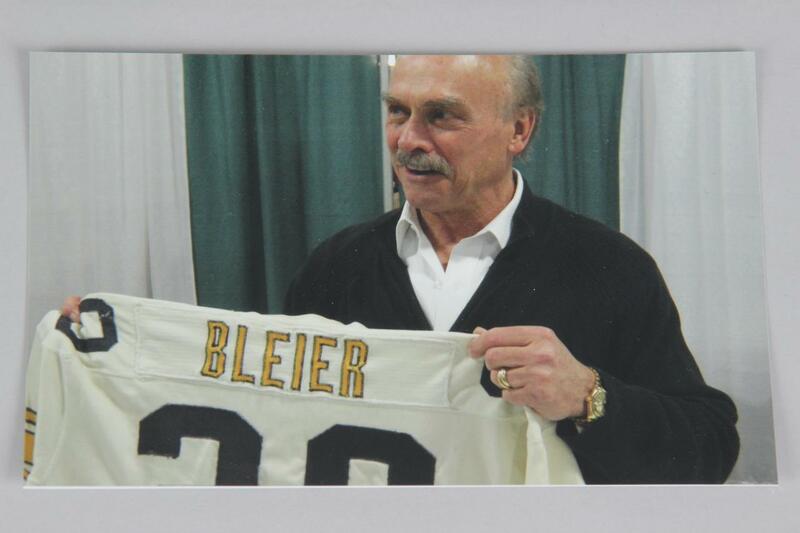 Rocky Bleier’s life is his message: the start in Appleton; the ail-American Catholic upbringing; the high school stardom; the 1966 national championship at Notre Dame; the battle to make the Steelers as a 16th-round draft pick in 1968; the rookie year, culminating in Army induction and followed by heroism in Vietnam; the fight back to the NFL against huge odds; the four Super Bowl victories; the successful business enterprises; the charity work; and the tranquil home life. “I am a breathing example of what you can do if you want to,” he says without arrogance. “I just thought I could play in the NFL. There are parameters, of course, and a certain self-knowledge that’s needed. I knew I would never be over 5’10” or run the 40 in 4.4. But I could be stronger than the other players, and in better shape, and I could block better and be more consistent. Goodness, they want consistency in the NFL, somebody they can depend on. I didn’t know back then how important that was. So the letter to Art Rooney sprang from a profound belief in his own abilities? Bleier clears his throat. He fishes for a cigarette. He is a warm and considerate man, but there is also an uneasiness to him, a sensitivity seldom seen in a rugged athlete. Nerves. There was, he will explain, the element of fear. 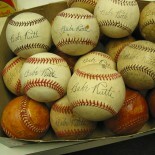 This entry was posted on December 27, 2013 by Memorabilia.Expert BidAMI in Authentication Tips and tagged National Football League, NFL, Pittsburgh Steelers, Robert Patrick, Rocky Bleier, Steeler, Super Bowl, Vietnam.